TWO Batman and TMNT crossovers in a single year? IDW Publishing and DC Comics, thank you so very much. The previous crossover – which was published by DC – focused on the comic book incarnations of the Dark Knight and the Heroes in a Half Shell. Now, IDW is publishing a crossover that’s focused on the animated incarnations! Kevin Conroy’s Caped Crusader from Batman The Animated Series is joining forces with the current animated Ninja Turtles from Nickelodeon! This is clearly mandatory reading for all of my fellow Batman TAS and TMNT fans out there. Oh, and Ninja Turtles fans, give the latest TMNT show a shot! I was skeptical at first but it’s legitimately great. There’s a new hero in the Marvel Universe and her name is Riri Williams, a.k.a. Ironheart. Taking place after Civil War II, Bendis and Caselli’s opening chapter is totally new reader friendly and a bunch of fun. This issue is mostly focused on helping readers get a better understanding of Riri while also mixing in a some amusing superhero action and just a bit of emotion. Bendis’ script is consistently engaging in this one but the art team – Caselli and Gracia – deserve praise for their work on creating some believable expressions throughout the issue. Want to step outside of the superhero pool for a little bit? Love crime stories? 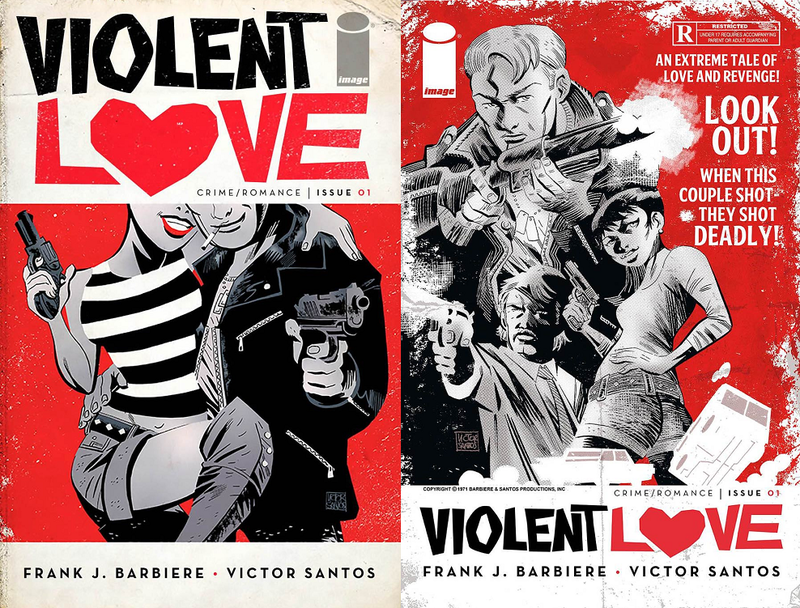 Well, Image Comics new series from writer Frank J. Barbiere and Victor Santos is exactly what you’re looking for. The first issue is a truly gripping ride that’ll leave you anxiously awaiting the second issue just so you can leap back into the expertly presented story. Fun fact: Frank AND Victor will be signing this comic at Midtown Comics Downtown (64 Fulton St.) on Friday (11/8) from 7-8pm! Click here for more info on the signing. Hopefully we’ll see you there! Scott Snyder, John Romita Jr, Batman, and a backup story with visuals by Declan Shalvey and Jordie Bellaire. Come on, do I really need to say anything else to sell you on this one? Yup, that’s what I thought.